A hammer is not a carpenter. To consistently deliver world-class components and responsive service, it takes the highly collaborative work of a talented, fully engaged team. Enthusiastic and having an innate gift for rallying people around an idea, Kevin Healy has a singular ability to see and seize opportunities that support the vision he and his business partner, Toan Tran, have developed. Kevin Healy brings more than 25 years of in-the-trenches experience to his leadership with a diverse professional career in customer service, industrial sales, marketing, and senior management of electrical component manufacturing. 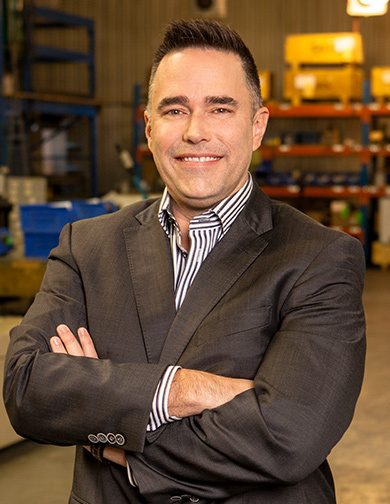 Kevin spearheaded Exel’s global sales and marketing expansion, supported the re-organization of the manufacturing operation, and drove the acquisition of our electroplating facility. 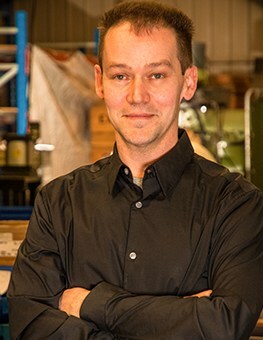 Exel’s proprietary technology in manufacturing and fabrication is his brainchild. That technology, along with the lean manufacturing re-organization he envisioned and implemented upon his coming to the company, have contributed immensely to the world-class component quality and production capacity of our facility. Before taking co-ownership of Exel, Toan held a variety of technical and managerial positions in a 30-plus year career in the copper industry and electrical components manufacturing. Toan continues to avidly research his professional interests and attend industry conferences.